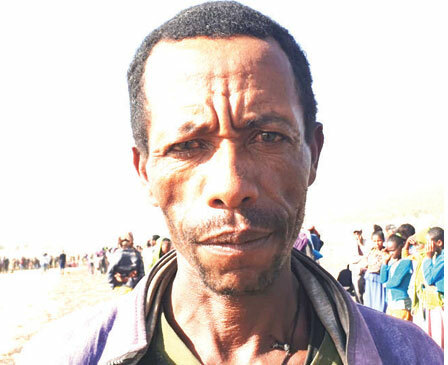 The 49-year-old was getting ready to attend Mass, as did many other residents in this small village of about 120 people in central Ethiopia. “I was having breakfast before going to church when I saw a plane falling from the sky,” says Atlaw, a father of three. On that very moment, at 8:44am, a burning Ethiopian Airlines passenger jet appeared in the clear blue skies above Adadi, speeding towards the semi-barren hills beyond the village. “I heard four large explosions. I have never heard anything that loud,” says Atlaw, whose village lies about 500 metres from the site where flight ET 302 crashed down. “I was very scared but I ran to the field to check and I saw a shocking sight,” he adds, shaking his head in disbelief. Ethiopian Airlines, Africa’s largest air carrier, said everyone on board the flight, which had taken off six minutes earlier from Addis Ababa and was heading to Nairobi, was killed in the accident. More people died in the crash — 149 passengers and eight crew members—than those living in Atlaw’s village. The debris from the accident is strewn across a farm that has now become the centre of global attention. Investigators from across the world have descended on Adadi, sifting through the crash site to identify the remains of the victims, who were from 35 countries. The news triggered an outpouring of grief and sadness worldwide, while Ethiopia, which lost nine people in the crash, declared a day of national mourning. Late on Monday afternoon, a white helicopter kicks up a bowl of dust before disappearing beyond the hills in the distance. At least five excavators are busy at work. Heavily armed security officers are keeping an eye on the 100 or so spectators gathered near the scene, making sure no one trespasses, as emergency workers comb through the site holding see-through bin bags.